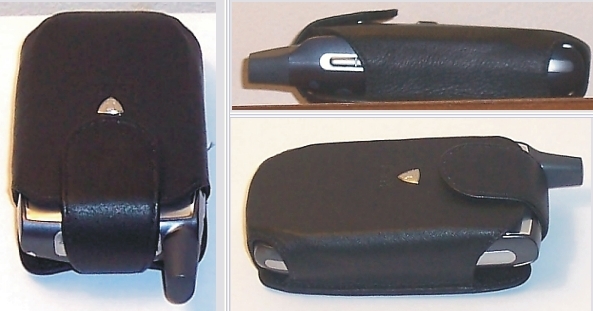 "Those who follow my reviews know that I named a Fortte leather case as one of my 2006 Products of the Year. Fortte produces innovative leather cases for almost every type of smartphone, feature-phone and PDA on the market. The reason? Actually, there are 3:1) Fortte designs and manufactures their own cases, which is a rarity in today's marketplace2) Fortte uses materials and manufacturing standards that are almost the equal of Vaja and Piel Frama3) Fortte sells these superior cases for about the same prices as the generic, re-brands you find at most case outlets. Superior products for the same price as lower-end merchandise. What's not to love?Today, due to numerous reader requests, we take a look at one of their 'pouch-style' cases. These are not my favorite kind of case, and as a result, I seem to have ignored this segment of our readers. My apologies, and I will be more mindful in the future. The Fortte Vertical Pouch case is for people who want to keep their Treo safe in their jacket pocket, pants pocket or pocketbook, do it without adding much bulk...and, want to do it with style. The case is of soft yet sturdy leather, reinforced with hard panels at the front & back, padded with foam and lined all around with a soft terry lining. Fortte bevels the case, so that it follows the contours of the Treo all the way down to the bottom.The combination of foam and lining not only add protection, but keep the Treo safely snug while its inside. Even so, it is an easy matter to unsnap the large magnetic clasp and slide your Treo out for use. Since a pouch case doesn't lend itself to 'in-case' usage, Fortte opted to go with maximum protection; so, you won't see cutouts at the bottom for the charger or earphone jacks. This is sensible, and adds to the case's overall structural integrity.There is such a thing as going too far, and I'm afraid that Fortte did that when leaving key openings covered: there is no opening for the speaker on the rear of the Treo; and, this is the ringtone speaker. As a result, the ringer is rather muffled, although still audible. Hopefully, Fortte will address this wee oversight in the next batch that they release. 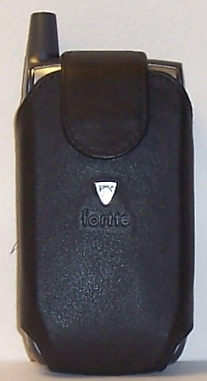 The basic case is black leather, although Fortte provides for a lot of customization (multiple colors, embossed lettering, etc), and can be ordered with or without a belt clip (the one shown here is without). I really like the way Fortte does its belt clip option: The metal nub is actually sown into reinforced leather at the back; so, it won't unscrew and drop your device (like a lot of other cases do). In addition, the spring-loaded belt clip itself is very sturdy, and won't let the case pop out at the least little impact. As I mentioned, Fortte does their own manufacturing, and their processes are ISO certified. So, what does a quality leather pouch case cost these days? This one will set you back a mere $24.99 USD. If you are in the market for a leather case, you owe it to yourself to check out the goods at Fortte. You won't find anything to compare for anywhere near their cost. Mar 23, 2007 in PJ Arts - Deputy Editor, New Providence, US Permalink"